Simple, refined and beautiful: Workshops of Magewappa in San Francisco! Workshops of Magewappa in San Francisco! Yes, it's true! 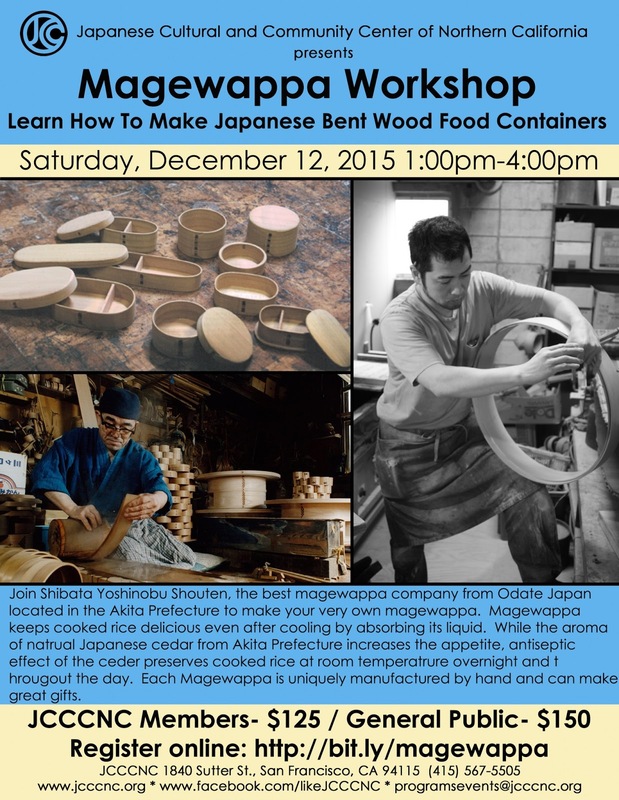 There will be workshops by the craftsman of 'Magewappa Bento Box' in San Francisco! Shibata Yoshinobu Shouten will visit SF from Akita, Japan, to demonstrate and show how to make their exquisite cedar-wood box. They will bring the pieces of Natural Akita Cedar from Akita and show how to fold them into a bento box. Then, you can actually learn how to make your own nail-free bento box! It is an amazing opportunity to see a fantastic craftsman at work and perhaps get an early christmas gift!